Gone too soon, rock ’n’ roll icon Buddy Holly left behind a legacy of trailblazing music and legendary live shows, including several performances for thousands of screaming fortune-tellers begging him to escape his dark fate and avoid ever getting on an airplane. Buddy Holly’s first tour with The Crickets brought him through Baltimore, where the band took the stage before a sold-out house that happened to consist of 2,000 professional clairvoyants all blessed with the mystic ability to see the future. Moments after they kicked off their set with their hit single “That’ll Be The Day,” the audience—composed almost entirely of stooped women heavily bedecked in shawls and bangles—erupted into shrieks and howls about the terrible end that would befall Buddy Holly if he ever set foot on an airplane. After ripping through almost their entire catalog and an Elvis cover or two, the band walked off to a thunderous “Stay on the ground!” chant that locals say rattled windows for blocks around the venue and prompted Holly to come back out for a rousing two-song encore. The show at Milwaukee’s Million Dollar Ballroom was one of the rowdiest of Holly’s career, thanks to the mob of soothsayers that gathered to follow his tour bus through town and shout warnings after him all the way onto the stage. Neither Holly’s good-natured banter nor his even-keeled demeanor managed to calm the crowd as they whipped each other into a precognitive frenzy, screaming at him in voices that were not their own to beware single-engine aircraft and avoid the sky at all costs. In one particularly memorable moment, Holly brought an audience member onstage to sweetly serenade her, a young, wild-haired Roma named Madame Luna. “Anything you want to tell all these nice people?” asked Holly, to which Madame Luna responded, “SHOULD YOU EVER SET FOOT UPON SKYCRAFT, YOUR DOOM IS SEALED,” in a hoarse wail while scratching frantically at her throat. “Thanks, little lady, and right back at you,” replied Holly. “This next song’s called ‘Rave On’!” Madame Luna kept screaming about how Buddy Holly should never fly anywhere on an airplane, but halfway through the next song, security guards had her removed from the stage. 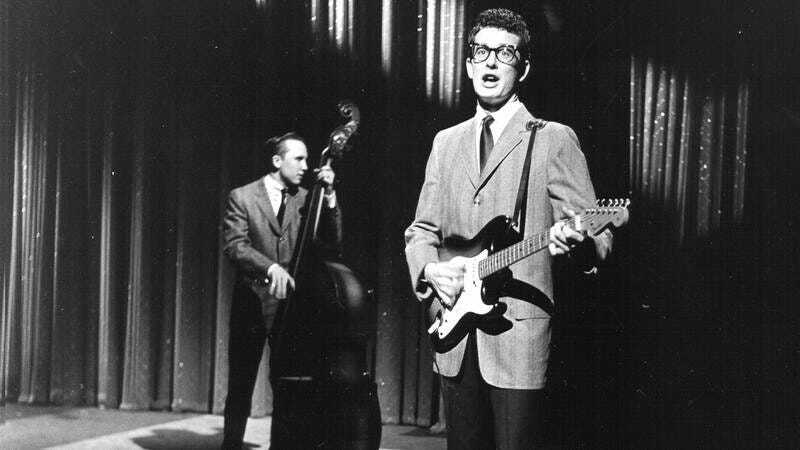 The Ed Sullivan Show appearance that helped make Buddy Holly a household name was very nearly canceled. Just as Buddy Holly was about to play, a white dove burst into CBS Studio 50 and was immediately crushed by a falling studio light. The audience erupted into bedlam, as each fortune-teller desperately screamed her interpretation of what the dark omen could mean over the din of the rest. The carnage onstage and chaos in the audience almost forced show producers to scrap the performance, but Sullivan insisted that the show must go on, no matter how many fortune-tellers were frantically shrieking at Buddy Holly that buses were the only safe way for him travel. And it’s a good thing Sullivan refused to cancel the performance: The rendition of “Peggy Sue” that Holly performed that night, as several fortune-tellers crouched nearby reading the augury in the dove intestines, was one of the most memorable of his career. Buddy Holly’s final performance was an impromptu set on the tarmac of Mason City Municipal Airport for the several thousand psychics who’d followed him onto the runway to give him his last warning against getting on a plane. Never one to turn down a crowd, Holly played a quick but spirited three-song set, backed by harmonies from his travel companions, Ritchie Valens and the Big Bopper. Buddy’s rich singing voice and acoustic guitar carried in the cold night air over the clamor of tearful prognostications, a moment made even more magical by the gently falling snow. But finally, it was time to go, and Holly and the other musicians followed the crowd’s pointing fingers onto the plane that would crash less than an hour later, tragically cutting short the life of one of America’s greatest musicians.